Custom print templates allow you to configure your own work order layout and design using Microsoft Word and our comprehensive list of tags. Learn more. Go to Winery Setup – Workflow – Defaults and go to the Production subsection, Printed Work order format and select MS Word (v6+) to use the new custom templates either at a system, winery level or a user level. 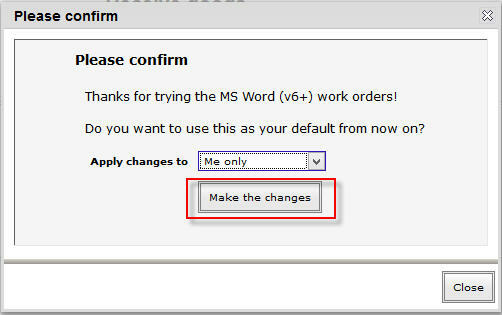 By default, MS Word (v6+) will be selected for new customers. You can select Legacy MS Word (legacy) if you want to use the older version of the custom templates or select PDF (original) if you want to use the PDF version. Once enabled, the Templates section will be visible to the selected winery/user when they log in. 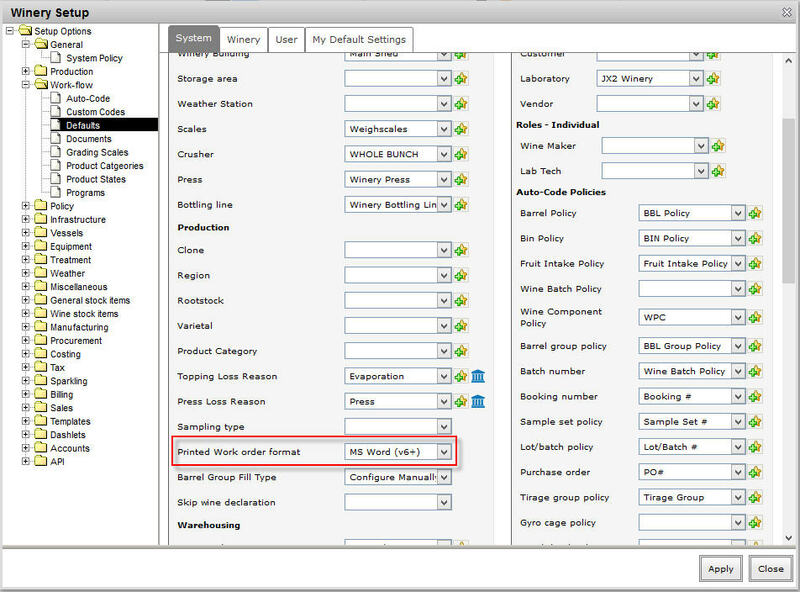 Once selected, you can use the Custom Print Templates right away with the default templates already in the system (as seen in Winery Setup – Templates – Default Print Templates). 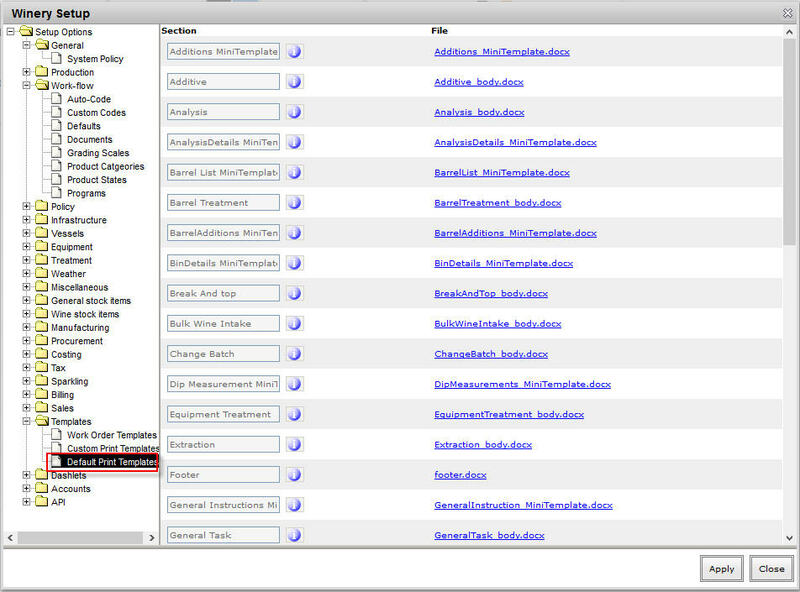 Another way to enable the new custom template is in the edit work order screen. 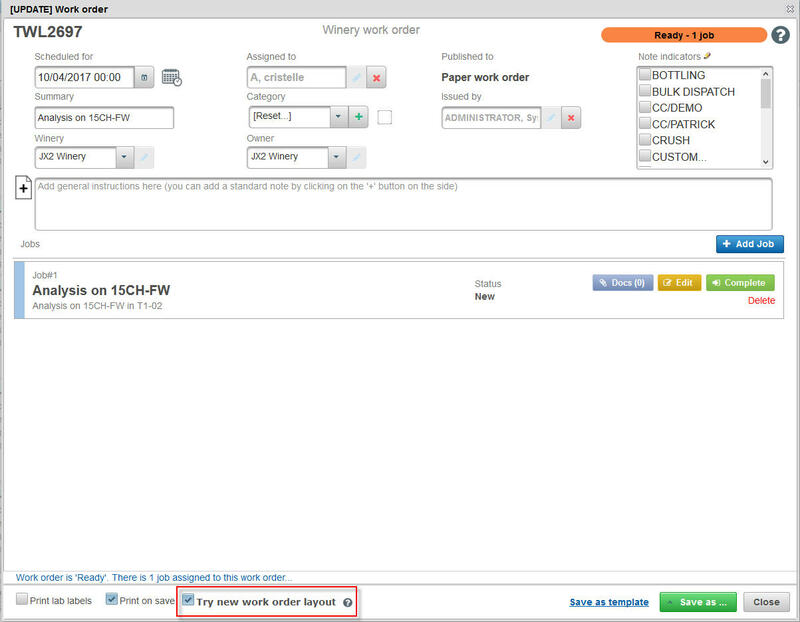 Click on the Try V6+Work order layout checkbox and save the work order. In the confirmation dialog, click on Make the changes button. This will set the new version as your default.